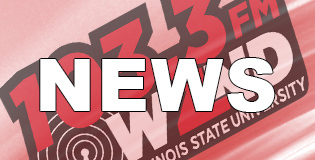 NORMAL – Illinois State University launched their first ever Redbird Rising campaign this year in hopes to fundraise $150 million dollars in pursuit of elevating university resources. ISU Director of Donor relations and Stewardship Jamie Wood expresses that the University’s alumni have bought onto ISU’s purpose. “It really speaks to how well the university is doing. People really believe in what we’re doing in our mission and they’ve come out to support us like crazy,” said Wood. With a goal of $150 million, ISU intends to use this fundraiser as leverage to strengthen resources and create possibilities that would otherwise be unlikely. With over 50,000 donors spanning all 50 states, ISU has completed 94% of their goal, raising $140.5 million thus far. There is no definitive timeline for when ISU would like to achieve their goal, but they do have set plans for what they would like to do with the donations; there are talks of creating scholarships to increase student enrollment and improve classroom tools. Redbird Rising is the largest fundraising effort in the history of Illinois State. Sara Thede contributed to this story.